Portal vein thrombosis (PVT) is an uncommon complication of liver transplantation, occurring in less than 4 % of patients. PVT can be immediately life-threatening when it presents with signs and symptoms during the acute stage in the general population or early after liver transplantation. 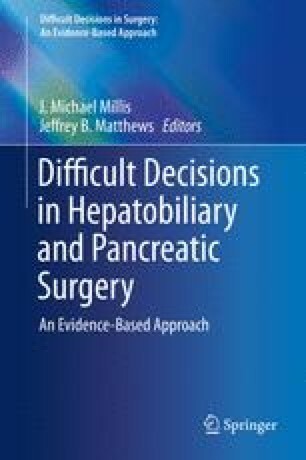 In transplant recipients, most cases present early, which results in a greater risk of loss of the liver graft. Despite substantial morbidity associated with PVT in liver transplant recipients, scant published literature exists to guide clinical management. Limited, small retrospective series address PVT in the general population, but the surgical or endovascular management of PVT in transplant recipients is rarely addressed. Anticoagulation is standard therapy in patients with native livers, but in the setting of early post-transplant PVT, this treatment as a sole option is usually insufficient given the tendency toward clinical progression and graft loss. No consensus exists regarding the appropriate application of surgical or endovascular revascularization, but endovascular therapies may avoid the risks of re-do operations in transplant patients.